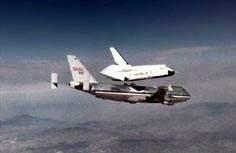 What a surprise it was for some people in 1977 when they first saw the space shuttle "Enterprise" perched atop a large transport airplane (a Boeing 747) which had been especially modified for the shuttle's first test flights. This arrangement was necessary since the half-spatial; half-glider machine would have been incapable of taking off on its own from the ground. To the general public, it appeared as a novelty, but in truth, NASA had nothing else to do but to bring back to life an ancient technique. Indeed, the first in flight launch of an aircraft from another aircraft dates back from April 6th 1916, when a British Bristol Scout was flown off a Felix Stowe seaplane "Baby carriage" from an altitude of 300 meters. Facing the vulnerability of their dirigibles during the big war, Germany and Britain conducted some tests by adapting them with another aircraft for their protection. The object was to provide the dirigibles their own defense by mean of a fighter airplane carried aboard. 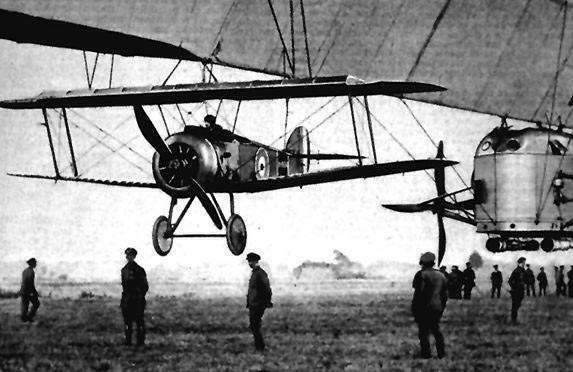 In England, the RAF conducted tests from the dirigible R-33, with attached Sopwith Camels modified for the circumstance, as well as De Havilland DH-53 "Hummingbirds". Only the airdrop was then deemed possible, and since retrieval could not yet be envisioned, the pilot would have had to land behind the lines after its mission. This configuration would never be made operational. Between the first very discreet launch (military secret) of 1916, and the one much more spectacular and well publicized of 1977, many configurations had been considered, some were even tested under diverse and varied goals, for civilian as well as for military programs. The principal combinations of composite arrangements: the "parasites" and their transports will be addressed in this document. Certain configurations have been omitted since they had been reported then as classified. On August 12th 1977, the space shuttle « Enterprise » is carried aloft at more than 7,000 meters above Edwards Air Force base. The astronauts could therefore train to fly the vehicle back to base. 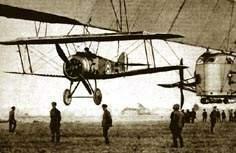 A modified Sopwith Camel during test under the British dirigible R-33.